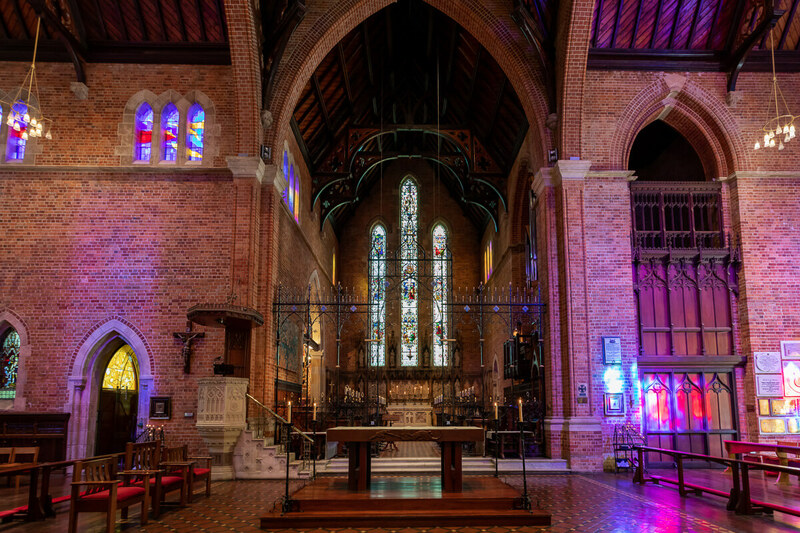 We are delighted that you are considering baptism at St George’s Cathedral. We hope that these notes will assist you and your chosen godparents to prepare for this important occasion and make it more meaningful for you. The baptism will take place on a Sunday after the main service of the day, which begins at 10.00am and usually finishes at around 11.15am. While we understand that it is sometimes difficult to organise everyone early in the morning, we do hope that the parents and godparents/sponsors will be able to attend this service. Baptism families bringing small children to the 10.00am service may find it helpful to sit in the South Transept where there is easy access to the outside and to toilets, and where children have space to play on the carpet. Please ask a Steward on duty if you would like to know where to go. The Cathedral has a weekly Sunday school during the 10.00am service, which welcomes occasional or more regular pre-primary and primary school-aged children to join in. Shortly after the service begins the children attend Sunday School in the Burt Memorial Hall before returning to the Cathedral for Communion. Plenty of parking is usually available on the corner of Hay Street and Pier Street, or in the two multi-storey car parks in Pier Street, between Murray and Wellington Streets (5 minutes’ walk away). The PCC underground car park behind Council House is often available. Please be aware of closing times. The baptism is an informal service, with everyone gathered around the font, which is near the main doors to the Cathedral. We ask the parents and godparents to stand together. You will be given a prayer book, and guidance as to what to say and when. We conduct multiple baptisms, so on any given day there may be two or three parties present at the one service. One of the symbols used in baptism is a lighted candle, representing the new light of Christ that has come to the newly baptised. The Cathedral provides a plain candle, but it is possible for you to bring your own if you wish, or to buy a more attractive one from the Cathedral Shop, which also sells Baptism gifts and gowns, made to order only. We understand that you may like to have some photos or a video taken of the occasion. We would like you to nominate just one person to take photographs or a video. You will receive a certificate of baptism as an official record, and godparents will also be given a card reminding them of the date and the responsibilities they have undertaken on the child’s behalf. In order for us to provide these, we will need you to fill out full details on the Baptism Application Form when you meet with the Cathedral Pastor. The Cathedral congregation is a welcoming group of people, and we hope that you will want to see us again! After all, baptism isn’t just a ceremony for one day, but the beginning of a relationship. We would like to stay in touch. We will invite you to the annual Children’s Christmas service (held on a Saturday in mid-late December) and to our monthly Families Connect services (usually held at 2pm on the second Sunday of the month). These services are particularly child friendly and many adults enjoy them too. As mentioned above, we have provision for children during the main Sunday service at 10.00am inside the Cathedral’s South Transept, as well as Sunday School for pre-primary and primary school-aged children. We hope this will make it easier for you to bring your children to church more frequently. They are certain to enjoy the Sunday School! Our love and prayers as you prepare for this happy occasion. Adult baptism and confirmation only take place in the context of a service at which a bishop or archbishop is present. Generally at St George’s Cathedral this is the vigil, or early morning service, on Easter Sunday, and on one other occasion during the year, often in October or November. A bishop or archbishop will always perform the baptism and confirmation. Baptism of people over the age of 16 is included with confirmation as part of the Christian Initiation of Adults. Adults who are baptised are asked to promise that they are willing to follow Christ, and take their place as adult members of the Church. The ceremony takes place after a period of preparation and instruction. Those over 16 who have been baptised, as infants or as adults, may be received into full adult membership of the Church by the laying-on of a bishop’s hand in a ceremony known as confirmation. If the person has been baptised as an infant they are asked to confirm for themselves the promises to follow Christ which were made for them at their baptism. Confirmation is seen as a commissioning of the person for work and ministry within the Church community, according to whatever gifts and vocation they might have. 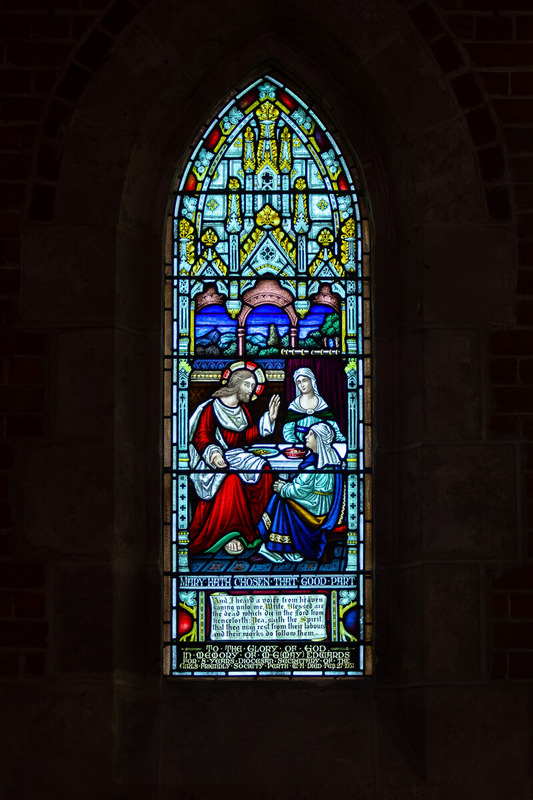 People who have been baptised, but are from a non-Anglican background, and who have found a home within the worshipping community of the Anglican Church of Australia, are welcome to be received into membership. Sometimes this reception will take the form of confirmation, but if the person has already been confirmed by a bishop then there is a simple service of reception which is usually led by a bishop or archbishop. There is no requirement to be baptised again unless the person is unsure of whether or not they were baptised earlier, or unless there is some doubt that their baptism took place with water, in the name of the Father, Son and Holy Spirit. The Anglican Church does not use language such as ‘conversion’ when referring to people who change their Christian allegiance from one part of the Church to another; rather, reception into membership is seen as recognition of that person’s place in their spiritual journey.